ST. PETERSBURG, Fla. -- A total of 40,450,337 fans passed through the gates at Minor League Baseball games in 2018, marking the 14th consecutive season that Minor League Baseball's 176 teams in 15 leagues drew more than 40 million fans. The Triple-A Charlotte Knights led all teams in total attendance (619,639) and average attendance (8,980), while the Frisco RoughRiders (468,259) led the Double-A level for the 14th consecutive season, the Dayton Dragons (550,725) led the Class-A level and the Vancouver Canadians (239,086) topped the Short Season and Rookie level leagues. "Minor League Baseball continues to be the best entertainment value in sports, and these numbers support that," said Pat O'Conner, Minor League Baseball President & CEO. "For us to top 40 million fans for the 14th consecutive season despite the weather challenges our teams faced in April and May is a testament to the continued support of our loyal fan bases and the creative promotions and hard work done by all of our teams across the country." Twenty teams set single-game stadium attendance records in 2018 (Albuquerque Isotopes, Augusta GreenJackets, Binghamton Rumble Ponies, Birmingham Barons, Charlotte Knights, Corpus Christi Hooks, Erie SeaWolves, Frisco RoughRiders, Grand Junction Rockies, Great Lakes Loons, Hillsboro Hops, Johnson City Cardinals, Louisville Bats, Myrtle Beach Pelicans, Omaha Storm Chasers, Pulaski Yankees, Richmond Flying Squirrels, Salem Red Sox, Tri-City Dust Devils and Winston-Salem Dash). Seven teams set franchise records for single-season attendance in their current ballparks (Augusta GreenJackets, Eugene Emeralds, Hartford Yard Goats, Johnson City Cardinals, Nashville Sounds, Pulaski Yankees and Spokane Indians). 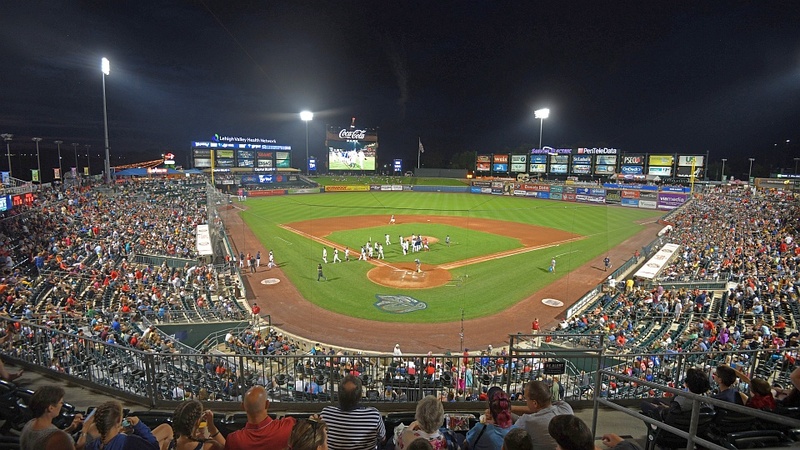 Minor League Baseball's Copa de la Diversion program, consisting of 167 games where MiLB teams adopted Spanish-language identities, drew over 85,000 more fans than those teams drew on the same date last year, a 12 percent increase. The Augusta GreenJackets drew 255,155 fans in the inaugural season at SRP Park, the only new ballpark to open in Minor League Baseball in 2018. Since 2000, Minor League Baseball teams have opened 65 new ballparks, with new stadiums scheduled to open in Amarillo, Texas, Fayetteville, North Carolina and Las Vegas in 2019. The Dayton Dragons' streak of consecutive sellouts, which began in 2000, and is the longest in professional sports history, sits at 1,316 games, and helped the team eclipse 11 million fans all time at Fifth Third Field. The Hartford Yard Goats recorded 47 sellouts, while the Tri-City Dust Devils set a franchise record for average attendance, the Binghamton Rumble Ponies had their highest average attendance in 25 years, and the West Michigan Whitecaps posted their highest average since 2001. The Boise Hawks reached their highest season attendance figure in 18 years and have increased season attendance by 44 percent in the last four seasons. The Fort Wayne TinCaps cracked four million fans all time and the Bowling Green Hot Rods topped two million fans all time. The 2019 Minor League Baseball season will open on April 4.